Now widely considered one of the most enduring standards of the 20th century, "Over The Rainbow" was originally written for the 1939 movie “The Wizard Of Oz,” where it was sung by actress Judy Garland. Not only would it become Garland’s signature song, it would also win an Academy Award for Best Original Song and eventually be considered one of the greatest movie songs of all time. It would subsequently be named to the National Recording Registry of the Library of Congress, in recognition of it’s cultural, artistic and historical importance to American culture. 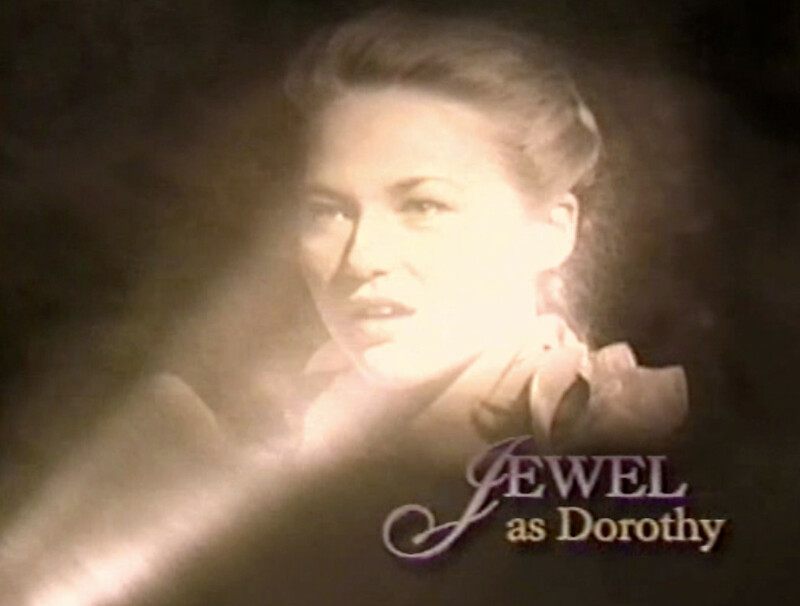 Like many of us, Jewel’s earliest exposure to the song can be traced back to her childhood and the Wizard Of Oz movie. Although she no doubt sang the song when she was younger, her first documented live performance occurred in January of 1989, when at age 14, Jewel was invited to perform it live on Tom Bodet’s “End Of The Road” radio show broadcasting out of Anchorage. A year and a half later Jewel would also open with “Somewhere Over The Rainbow,” to kick off her tuition benefit concert in her hometown of Homer, Alaska. Essentially Jewel’s first concert ever, this fundraiser would help generate the money required to attend her first semester at Interlochen Arts Academy in Michigan beginning in September of 1990. Fast-forward to July of 1995, when Jewel was a guest on National Public Radio’s “All Things Considered” program promoting her debut album. Listening to this program were producers Darrel Larson and John Brauer, who were so impressed, they tracked Jewel down and cast her as Dorothy in their all-star production of the "Wizard Of Oz In Concert," which would be staged live at Lincoln Center that November. Performing live among seasoned actors and musicians like Jackson Browne (as The Scarecrow), Roger Daltrey (as The Tin Man), Nathan Lane (as The Cowardly Lion), Natalie Cole (as the Good Witch), Debra Winger (as the Wicked Witch) and Joel Grey (as The Wizard), this was daunting company, but Jewel rose to the occasion and held her own in the lead role as Dorothy Gale. Working closely with the extraordinarily gifted guitarist Ry Cooder, it was during the preparation for this concert event that Jewel began actively pursuing her own approach to the song. Unlike many singers who have attempted to tackle this classic, she consciously avoided being reverential to the original Judy Garland recording. Instead, Jewel’s frame of reference was the more unique interpretations by Ella Fitzgerald and Sarah Vaughan, two iconic jazz singers who she greatly admires to the present day. 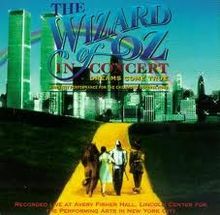 “The Wizard Of Oz In Concert - Dreams Come True” would also air on PBS stations nationwide during the 1995 Thanksgiving holiday, providing Jewel with her largest television exposure to date. A soundtrack album would also be issued, as well as a home video release, which has sadly never been reissued. Despite the rave reviews of her Lincoln Center performance, Jewel would avoid “Somewhere Over The Rainbow” in her live repertoire during this time, despite fans relentlessly requesting it. She would only perform it a handful of times over the next decade. She began actively pursuing it again during live performances in 2004 and it has remained a staple of her live repertoire ever since. She would finally record her own studio version in 2009 as one of the three covers featured on her “Lullaby” album. What we’d like to share with you today is Jewel’s performance of the song on March 29th of this year, when she hit the stage of New York City’s Rainbow Room, performing before Hallmark Channel executives and special guests. As many of you are well aware, Jewel is currently starring as Shannon Hughes in the Hallmark movie series “ A Fixer Upper Mystery,” airing on the Hallmark Movies & Mysteries Channel over the next three years. This special event was in conjunction with Jewel’s recent press junket promoting the second installment in the smash hit series. For obvious reasons, she was compelled to open her performance at The Rainbow Room with this song. A Facebook Live feed of this special private performance was attempted at the time, but it was unfortunately riddled with technical issues. This video is a vast improvement thanks to the Hi Def camera work of David Doobinin and the board recording now synchronized to his footage.